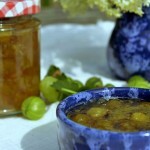 This Elderflower cordial recipe was first published in 2010 and I’ve tried to find good recipes that cut the sugar content ever since as the original was quite heavy on it. Thanks to the River Cottage Preserves book I’ve finally found one that halves the sugar and have used it as detailed below. 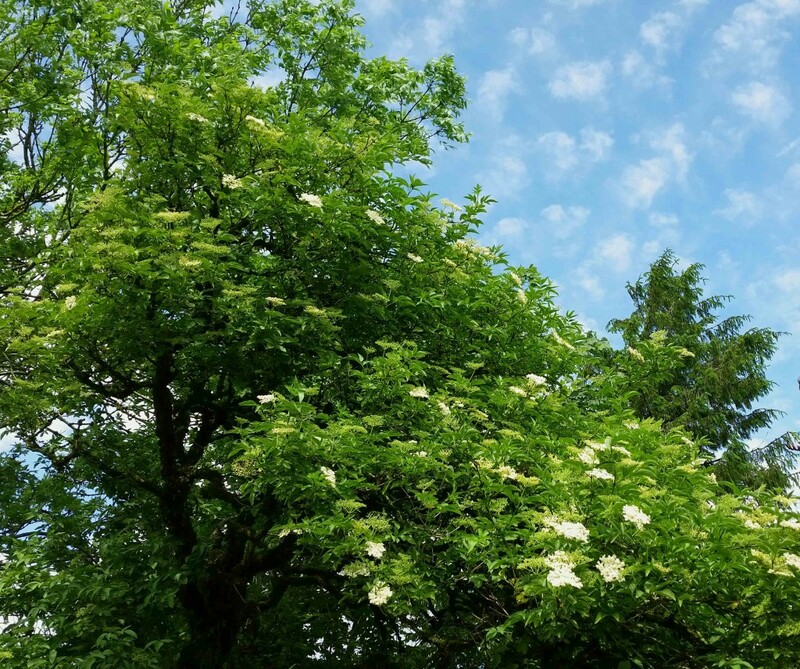 In a good year Elderflowers start to appear in hedgerows across the country during May, however in 2010 it was early June and in 2015 ours were only just coming into bud towards the very end of June. 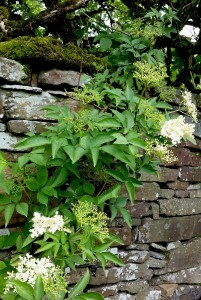 Wait until the blooms are full, creamy coloured and full of scent (they’re especially heady when picked in the evening). 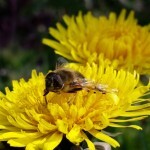 As with any type of foraging, avoid collecting the flowers if they’re growing close to a busy road as they’re more likely to pick up pollution and don’t pick all the flowers. 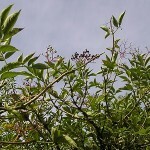 Take a few from different branches, leaving the rest to develop into berries that can be made into a winter tonic in the form of Elderberry syrup. If you spot the blossom but don’t have time to make the cordial (or jam, or whatever you’d like them for), you can freeze the heads. I stored my cordial in sterilised screw topped wine bottles and it’s an ingredient that’s handy to have in the cupboard as summer recipes often call for it. This recipe makes around 2 litres and it will be 24 hours before it’s ready. 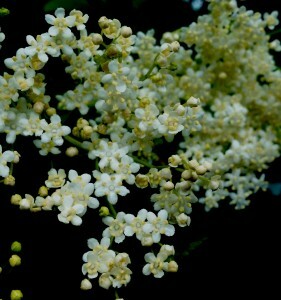 Shake the Elderflowers in case there are any insects lurking and put the blossoms in a large bowl. Add the lemon and orange zest and the sliced lemons. Pour over the boiling water, cover and leave for 24 hours to infuse. The next day, strain the infuse liquid into a saucepan through a coffee filter or clean muslin cloth then add the citric acid, lemon and orange juice and sugar. Bring to a simmer, stirring constantly until the sugar has fully dissolved, then pour the syrup into sterilised bottles and seal. We leave a bottle in the fridge and just add tap water but for a change it’s lovely when it’s diluted with sparkling water, or even better for the adults, with topic water and added to our favourite gin! Have you used elder flowers in recipes before? Do you love or loathe them? 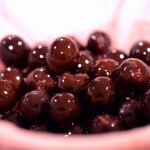 Sloe gin, sloe chocolate, sloe port or sloe jam – it’s party time! I just made this today, well, spotted a recipe elsewhere and then someone asked me was it your recipe – all the ingredients are the same anyway. It is a scary amount of sugar isn't it – I made double the amount of my recipe and it was 3 bags of sugar to 4 litres of water! Wonder could you substitute the sugar with Stevia? Perhaps though personally I’d steer clear of artificial sweeteners. Though I don’t know much about Stevia, I did quite a bit of digging around on aspartame. Here’s the link to the article. I mean straight from the Stevia plant? I was very wary of it myself, until I actually saw it in plant form in the garden centre, thought at first by the sound of the name it must be something artificial and noxious like aspartame. I wonder is there an “artificial” stevia sweetner as well? Highly likely. Considering buying a stevia plant to see what it’s like. I just found this link about using Stevia, it might help. 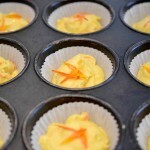 Loved this recipe so much last year that I have quadrupled it this year. Last year after seeing the amount of sugar in the recipe I made a batch with considerably less sugar. It tasted much the same, needed less diluting but didn’t store very well. Noticed after a few months that some tiny bits of mould was beginning to appear at the top of the bottle. The sugar overdose is definitely required for a long lasting delicious cordial! Family and friends have heard I’ve made a new batch so they are queuing to get their share. Mary I’m coming around yours! Interesting about the sugar. You could set up a tea shop with that quantity. They were charging €3.50 a glass of elderflower with fizzy water in the restaurants this weekend! I’ve made a similar cordial for years from an old recipe my grandmother gave me; a couple of differences from yours here – uses 30 elderflower heads but only 900g sugar and includes 2 oranges, sliced also…works perfectly and is plenty sweet enough! My favourite drink and great to have a version that’s a bit lower in sugar. Have made this and it’s delicous, do you think it would work with any soft fruit? Have just tried a batch with Victoria plums, will see how it works out. How did it work out Jennie? Apologies only just seeing your comment now. 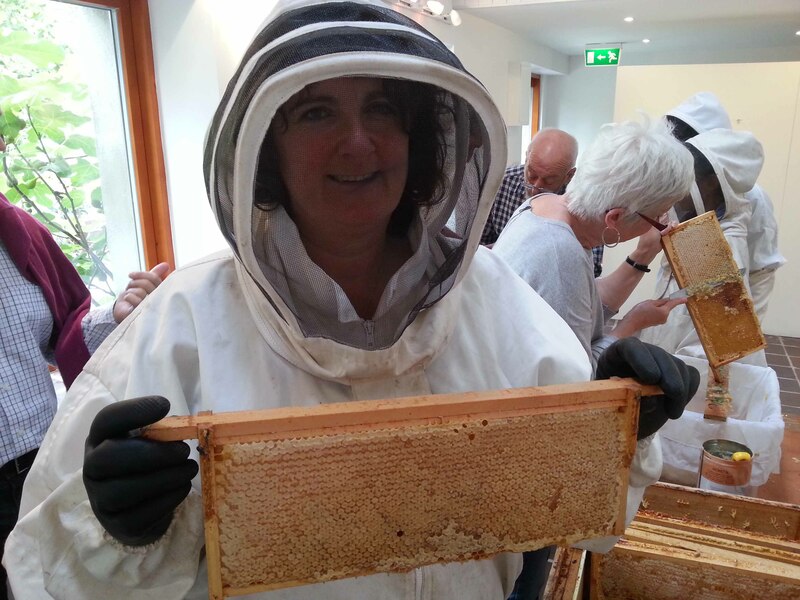 It was great thank you Dee, have just finished a batch with raspberry too and that is delicous, and a beautiful colour. Sounds like something you’ll enjoy and think of summer about during the coming winter evenings.